February 2016 was spent exploring, experimenting, experiencing, while attending a residency in Bhubaneswar, India. The work that began there was unexpected and liberating. 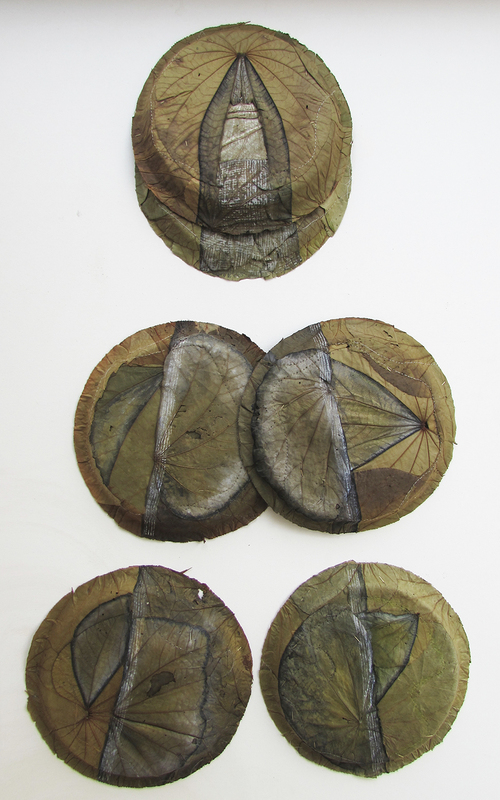 I discovered stacks of dry Sal (or Banyon tree) leaf plates in a local market. These plates, pinned together with tiny bamboo sticks and pressed into circular "dishes" are used for traditional meals for festival and in temple ceremonies. 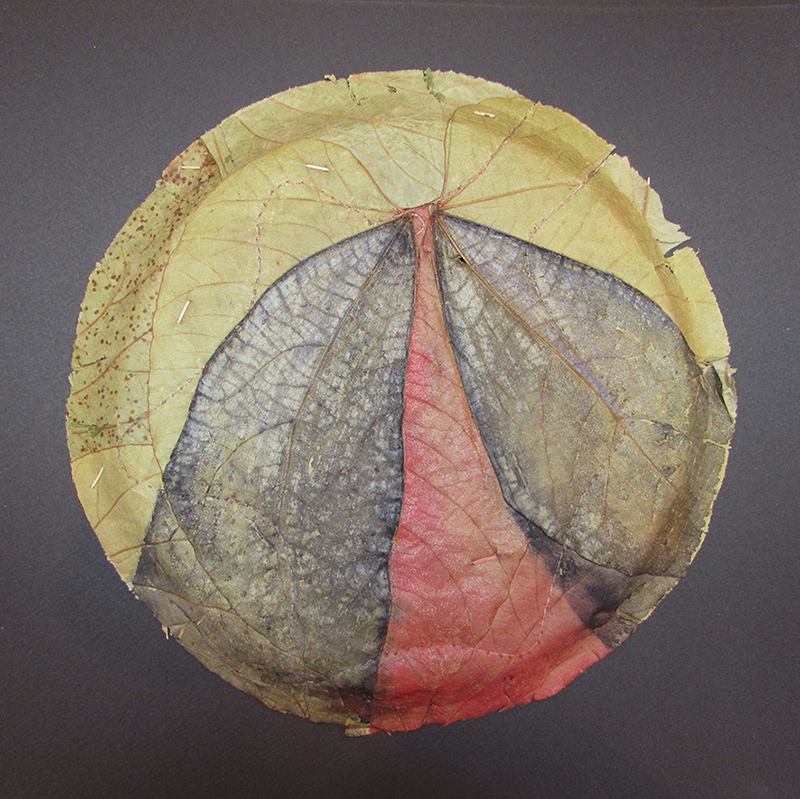 The shapes of the stitched leaves echoed the temple forms I was seeing and documenting so it seemed natural that I work with these plates much like a canvas - drawing and painting directly onto them.